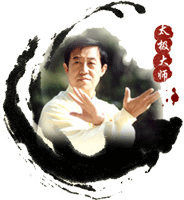 Chen Huixian’s Chenjiagou Taijiquan Academy is a traditional Chen Family Taijiquan (Tai Chi) school. 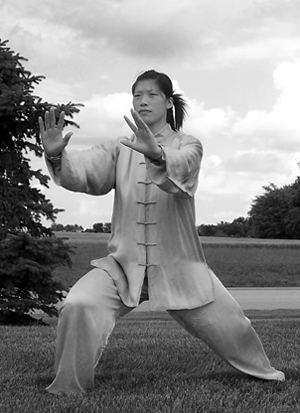 Taijiquan (Tai Chi) is not only a Chinese Exercise that helps increase your overall health and wellness. 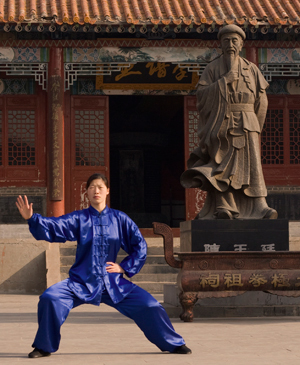 Taijiquan is first and foremost a unique and powerful martial art, which also happens to have a long list of amazing health benefits. We specialize in the original Chen family Taijiquan curriculum: a full complement of Health, Fitness, Qi Gong (Chi Kung), Gong Fu (Kung Fu), Self-Defense, Martial Arts, and Weapons training. Chen Family Taijiquan is the original style of “Tai Chi” that all other styles (Yang, Wu, Wu-Hao, Sun, and He, etc.) have descended from. Chen Huixian's 9th generation Chen Family ancestor, Chen Wang Ting (1580–1660) is historically credited as the Founder of Taijiquan. In his home town of Chenjiagou (Chen Village) this martial tradition has been preserved by his Chen Family descendants, and handed down generation by generation. At Chen Huixian’s Chenjiagou Taijiquan Academy, we maintain this unbroken line of teaching and training methods that has been preserved by Chen Huixian’s family in Chenjiagou (Chen Village) for over 350 years. We teach group classes, private lessons, as well as local, regional, and national workshops and seminars. Chen Huixian and her students are also available for professional demonstrations and private class sessions at Community Centers, Health Clubs, Museums, Schools, and other facilities. Our instructors also travel to China annually to pay respects to the Chen family ancestors, to immerse our students in Chinese Culture, and to train at the source of Taijiquan, Chenjiagou (Chen Village). Classes are offered in both English and Mandarin Chinese. - Check the Classes page for more info!